A social media policy is a corporate code of conduct document that provides guidelines for employees who post content on the Internet using social media either as part of their job or as a private person. These documents are extremely helpful in avoiding potential crises than can occur on social media. There are many different approaches that a business can take to developing a social media policy, varying both in length, tone, and the amount of power they give their employees online. The following is a summary and analysis of four very different Social Media Policies from NAB, Telstra, the Olympic Committee and the Queensland Government, assessing the strengths and weaknesses of each to help you decide what format could work best for you. Telstra’s ‘3 Rs of Social Media Engagement’ Company Policy is directed at employees who use social media as part of their job or in a personal capacity. The purpose of the document is to establish the company’s expectations where the social media engagement concerns Telstra, its employees, products and services, competitors and/or other business related individuals or organizations. It is not applicable to personal use of social media where no reference to Telstra related issues is made. The policy adopts a proactive approach to social media, recognising its use as an “important tool” and encourages its employees to use it in a personal capacity. At 2,135 words and 6 pages long the document is extensive and structured using a number of sections to detail its purpose, intended audience, and includes comprehensive explanations of the policy requirements which are abbreviated as the ‘3 R’s’: Representation, Responsibility and Respect. The opening section includes a brief summary of the 3 R’s as an alternative to reading the whole document, and implores employees to be clear who they are representing, to take responsibility for ensuring that any references to Telstra are correct and don’t breach confidentiality requirements, and to respect the people they interact with online. Telstra uses two separate sections to further detail the 3 R’s firstly as they relate to business purposes, and then personal use. A section on policy breach at the end of the document declares disciplinary action and in serious cases, termination of employment as consequences. Contact details for Telstra’s Social Media Senior Advisor are included for further enquiries. The document is accompanied by an interactive video that explains the policy, which is a much more engaging way of educating employees. The title '3 Rs of Social Media Engagement' makes it really easy to remember the main three points from it - Representation, Responsibility and Respect. Contact details for the Social Media Senior Advisor are included for further clarification. The introduction includes a brief summary of the document for those who don't want to read through the whole thing. 6 pages is much too long - most employees wouldn't get past the first page. The National Australia Bank’s Social Media Guidelines are written to instruct NAB employees on how to present themselves appropriately when using their personal social media accounts. The guidelines encourage the use of social media to "show others why their employees like working at NAB", but denotes a number of considerations that need to be taken into account when interacting with or discussing NAB, their employees, customers, products and services or competitors. At 357 words and 1 page long the document is short and concise, structured around three general guidelines that ask employees to be transparent, responsible and respectful. The first section implores NAB people to adopt a transparent and honest approach by clearly stating that the views expressed are their own, not portraying themselves as a NAB spokesperson and admitting if they didn’t know the full details of the full topic. 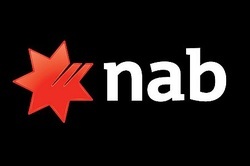 The next section asks employees to be responsible by ensuring their personal opinions aren’t damaging to NAB, to refrain from creating unauthorised social media profiles for the bank, and to abstain from commenting on legal matters or speculating on the future of NAB, their products, services, news releases or share price. The final section advises employees to be respectful when interacting with customers, colleagues and the general public online by being mindful of privacy rights, copyright and trademarks, remaining polite and respectful, and keeping work discussions out of social media. The guidelines refer to other documents that employees can consult if they wish to find further information, including Social Media Tips and Guidelines that are housed on the intranet and NAB’s Privacy and eCommunications Security Guidelines. A social media contact email is also supplied for further enquiries. The document doesn't deter NAB employees from using social media, but instead encourages them to keep a few considerations in mind when doing so. This is great because an organisation's employees are often their greatest asset when it comes to engaging people online, and if they attempted to deter people from using social media at all then they would lose one of their most powerful resources. It's short and sweet. NAB's Social Media Policy is the shortest of all four of these examples, and this gives it a huge advantage in that employees are much more likely to actually read it and remember it. Structuring the document around three short, sharp, catchy guidelines (be transparent, be responsible and be respectful) helps employees to remember them and hence means they are more likely to employ them in their practice. Keeping the three main principles very general allows employees the apply the guidlines to a number of different situations. If the guidelines were too specific and fixed, they would not be flexible enough to apply to a range of different circumstances. Although the policy is short, it does refer to other documents that employees can refer to if they would like clarification on a specific circumstance. Contact details are included for further enquiries. The International Olympic Committee’s Blogging Guidelines are written for accredited persons who maintain personal blogs and wish to post content relating to their own experiences and participation in the Games. These particular guidelines were written for XXI Olympic Winter Games held in Vancouver, 2010, and specifically state that the IOC reserves the right to change them for further events. At 1,364 words the document spans four pages and is structured under a sequence of thirteen headings relating to various aspects of blogging. The guidelines do not discourage the act of blogging, but instead restrict the manner in which accredited persons can post content relating to the Games. 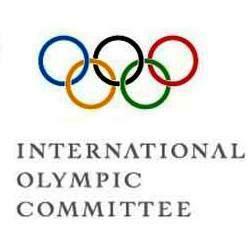 This is done to ensure that the blogs are understood to represent the personal views of the writer and not the official views of the IOC; to prevent the owner from publishing the IOC’s intellectual property; and also to prevent unauthorized commercial promotion in connection with any Olympic content. The guidelines do this by restricting accredited persons from publishing video, audio and certain types of images from the Games, as well as prohibiting the use of Olympic logo or the word ‘Olympic’ in the blog’s domain name. The regulations also limit accredited persons from using any commercial references in connection with any Olympic content. Bloggers are however encouraged to link their blogs to various official Olympic websites, and asked to ‘conform to the Olympic spirit’ in publishing related content in dignified and good taste. The document is too specific and only refers to blogging. The guidelines are too restrictive, especially in terms of visual content. By disallowing participants to post video or audio material, both of which are very popular when it comes to covering sporting events, they're restricting one of their most engaging forms of media. It might have been more appropraite to ask bloggers to have content approved first, instead of restricting it entirely. The Queensland Government Enterprise Architecture’s Official use of social media policy is directed at all agencies and departments who wish to establish official, publicly available and departmentally-managed social media accounts. It excludes the use of social media on a personal basis, as well as the use of social media for political or internal government processes. The policy does not aim to restrict the use of social media, but instead establishes a clear set of requirements so that accounts can be constructed in an authorised and accountable environment. 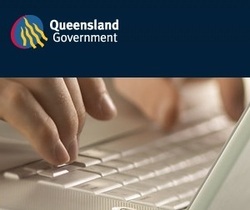 The document adopts a proactive approach and specifically states the Queensland Government’s support of the use of social media as part “of the Government’s commitment to open and transparent government.” A section is dedicated to listing the benefits of the policy, including improved access to greater segments of the public and a better understanding of how social media tools may complement existing engagement activities. At 633 words and 3 pages long, the policy stipulations are brief and separated into two main requirements. The first requirement dictates that agencies must conduct a risk assessment prior to implementing social media for official use, and links to an implementation checklist in the “Official use of social media guideline” that can help with this. The second policy requirement declares that agencies must manage the creation of and access to social media accounts via the creation of a central register, and then briefly lists the details that need to be recorded. The policy was published in December 2010 and is to be reviewed biannually. 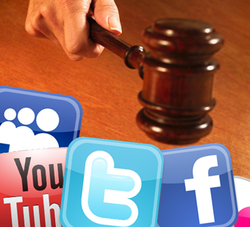 The policy adopts a proactive tone towards social media as opposed to a conservative one. The document doesn't address the use of media on a personal basis, only professional.